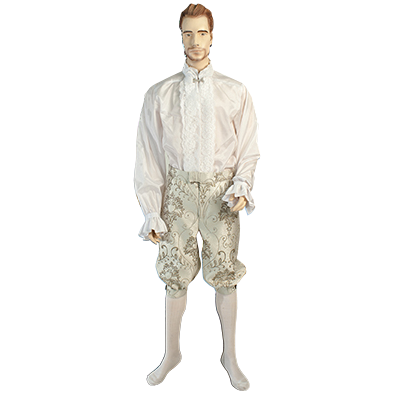 Wear the Mens Renaissance Breeches for an unmatched elegant look. Inspired by authentic historic styles, these calf length pants feature a fitted hem below the knee and are handmade from beautifully patterned silver colored brocade. 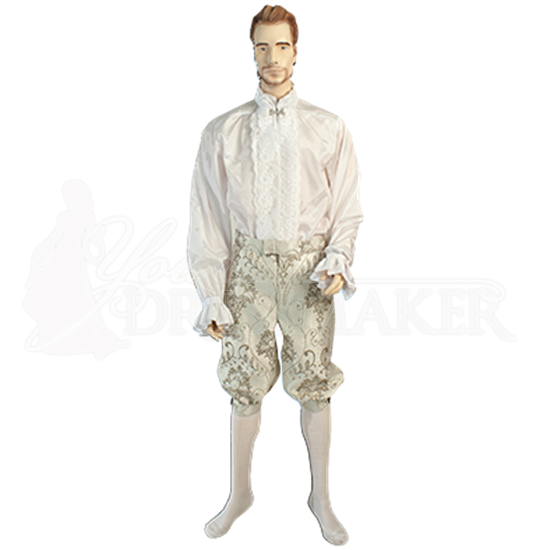 Fastened at the waist by a metal hook and zipper closure, these breeches are perfectly suited for the outfits of historic nobility and royalty. Their ornate appearance makes them ideal for Renaissance, Baroque, and certain medieval styles, as well as for special events that may call for sophisticated period fashion.